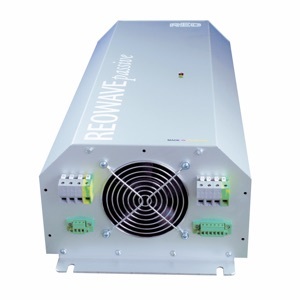 The REOWAVE®passive filters the harmonics created by your inverter and helps to reduce losses in the mains network. They help you to conform to drive standards extend service life and reduce daily running costs. Rising energy costs and growing CO2 emissions mean that minimizing losses in the mains grid are becoming more important. Reactive currents, so called ,blind' currents do not contribute to the effective power, but stress all components in the current path and cause additional losses in conductors and connected equipment. Reactive currents are often harmonics caused by the use of frequency inverters in a system. These additional currents not only increase losses locally, but because more energy must be generated for system performance there is an increased burden on the environment and the network operator of the installations. This increases the unit cost of electricity through increased generation, maintenance and infrastructural costs. The REO ranges of Mains Chokes, DC chokes and Harmonic filters can be used to reduce unwanted harmonics and help to counteract resulting reactive currents. They help to increase service life and can significantly reduce running costs.